In 1519/20 when Magellan first explored the southern most tip of the world, he met the natives and was astounded at their height. 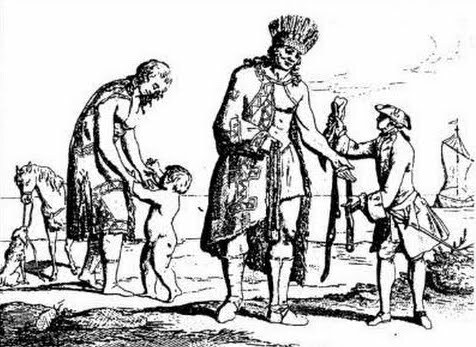 Much taller than Europeans at the time (180 cm/5′11″ vs. 155 cm/5′1″), he labeled them “patagóns” or bigfoot/giants. As sailors returned to their homelands the rumors grew bigger and bigger, and the name stuck. The native Patagons, actually called the Tehuelche people, have been in the region for over 14,00 years according to archeological findings. Tehuelche in the Mapuche language means “fierce people”. Nomadic people that followed their hunting and gathering with the seasons, they had few possessions, learning to carry with them only that which was truly special and useful. Patagonia stretches between Chile and Argentina and is about 30% of both countries’ entire land, 1,043 million km² or 402,700 mi². However less than 5% of our populations live in this region. Only the most hardy of inhabitants survives Patagonia - and maybe another reason they were known as giants among men! Patagonia, over the years, has been home to many immigrant settlements. Notably the Welsh and the Germans, but from all over central and northern Europe. Over the years the native populations have mixed with immigration populations, but pockets of German speaking or Welsh speaking communities still exist. 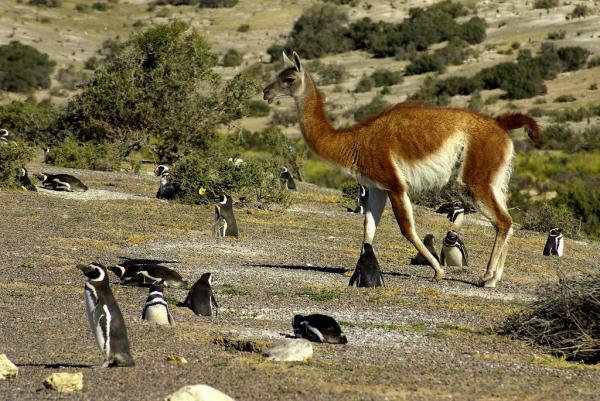 Patagonia is home to many unique species of animals. Magellanic penguins - yes, named for the explorer - live off the coast. He also has a woodpecker named for him, the Magellanic Woodpecker! Andean condors, ñandus (similar to ostriches), pudus (dwarf deer), pumas, the four inch long dwarf mouse-opossum and the Patagonian opossum. Plus so many more! So what is Patagonia? Come and see for yourself. We’re here to welcome you with open arms. To transmit the spirit of our mystical land from our hearts to yours.